Can I copy recurring shifts? What happens if you've already assigned a recurring shift to an employee, but you need to copy it or assign it to others, as well? 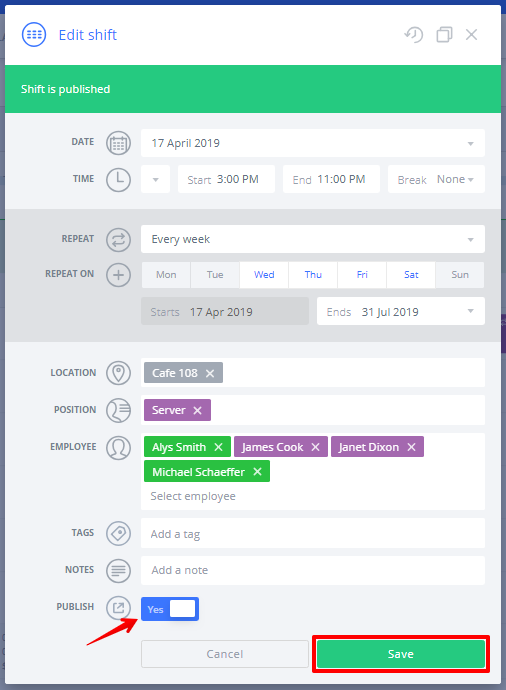 Don't worry, you can edit the existing shifts to assign them to others, too. 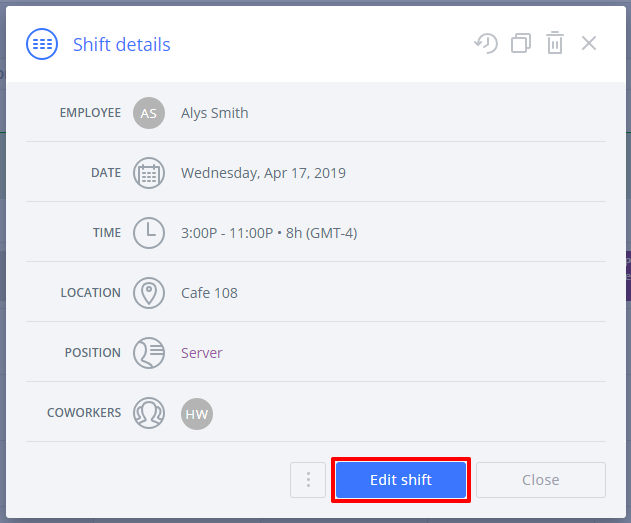 Please note: You can also use the copy function in this case, but recurrences can't be copied, so those shifts will be applied as single shifts, meaning you could not edit the entire series from a single shift later. Click the shift that occurs on the date you'd like the recurrence to begin. Next, click the Edit shift button. 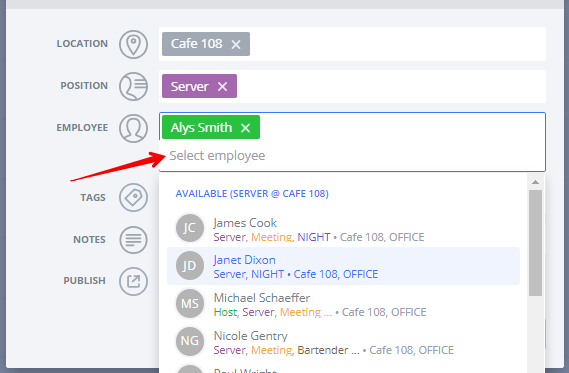 From the edit screen, you can add more employees to the shift by clicking in the employee field and selecting them from the drop-down menu. You can also type a name in to get to a specific person faster. When you're done adding additional employees, make sure the desired Publish option is selected and then click Save. When asked to apply the change to only one shift or all future shifts, choose All future shifts. This will create separate, identical recurring shifts for each person you've added.